So my 2002 Nissan Sentra recently won't start. The key turns over and it sounds like my car wants to start for a second but doesn't. 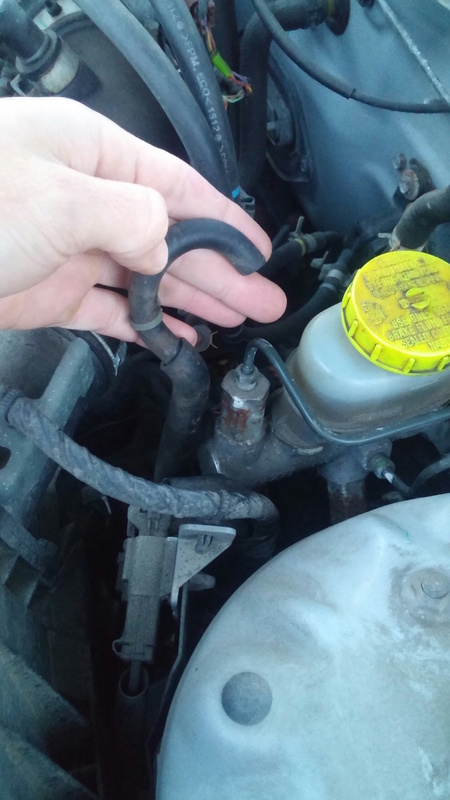 I checked all the hoses under my hood and realized I had one that wasn't connected to anything on one end. I attached some photos for reference. I have reason to believe it has to get connected somewhere near the brake booster or intake manifold?... but then again I don't know much, and why I am here. 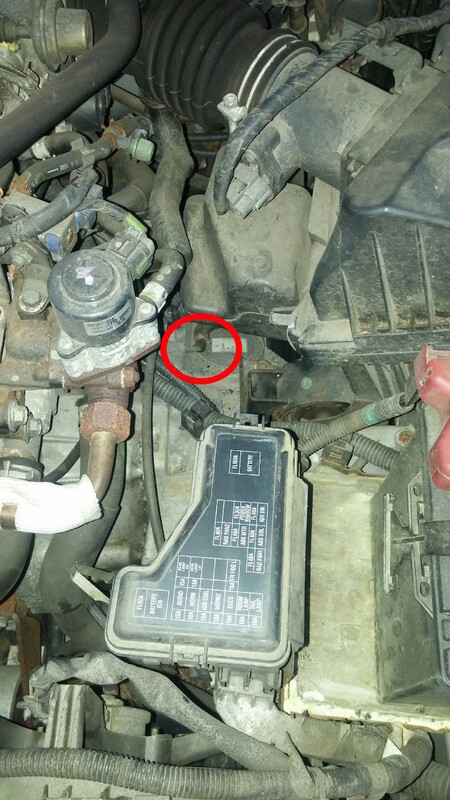 The red circle on the 2nd photo is where the one end of the hose is connected to. Thanks for the help!!!! Any way to check for codes - yes even if CEL is off. What or who has been messing with this. Follow HT's list of a no start and Kev2s suggestion for codes. * Pic #1 what you are hold does seem like a vent hose only but there's another below that I think going no place? * Pic #2 Where is the other end of those wires to plug just cut off? Appears to be cut off to get a new plug? Is this your car or just one that doesn't start and curious?